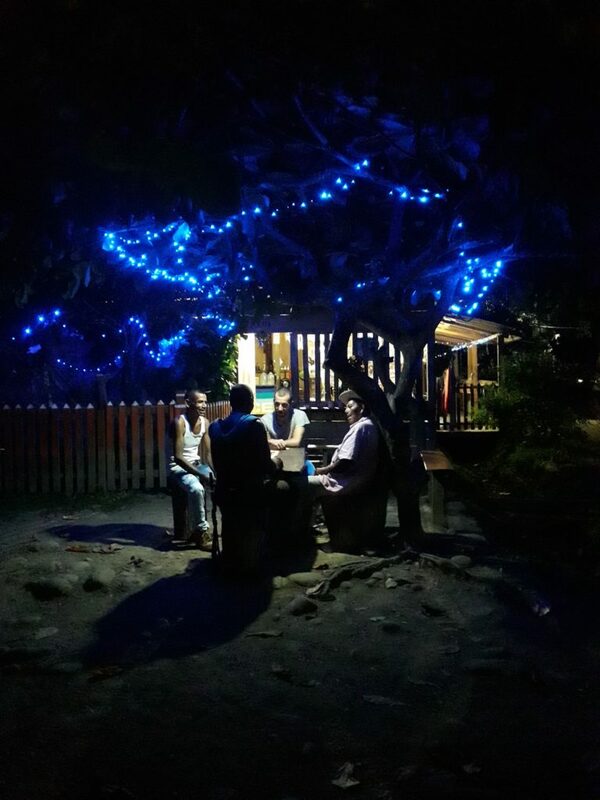 When we arrived in the Peace Community of San José de Apartadó for Christmas, former accompanier Emily and I didn’t really know what to expect. 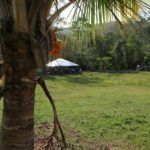 Neither of us had been there for some time, but we were excited that the Peace Community was going to have their Christmas celebration in the new “aldea” (small village), a 45 minute walk from La Unión. 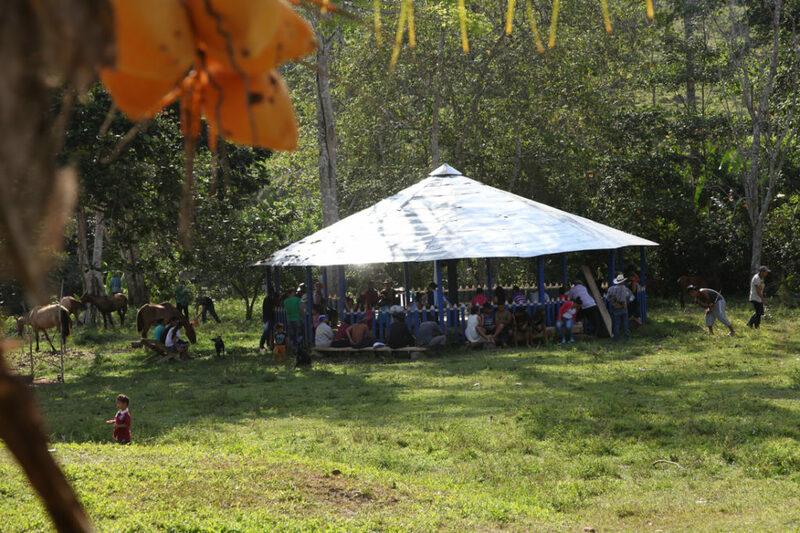 The new “aldea” that the Peace Community has constructed is amazing. 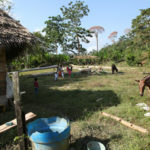 About a dozen families live in the newly constructed homes that overlook the Gulf of Urabá, building community through shared projects such as a flourishing garden. 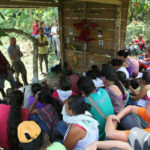 This “aldea” is named after Rigoberto Guzman, one of the Peace Community’s leaders who was killed in the massacre of 2000. He is one of many leaders whose bravery and commitment to the Peace Community motivates them to continue moving forward. I was inspired at their new space, and the way they have created rebirth amidst ongoing armed conflict. Unfortunately, they need this continued resistance because the conflict in Urabá is far from over. 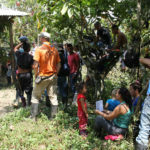 While the FARC demobilized following the 2016 Peace Accords with the government, paramilitary groups continue to grow more powerful in San José. 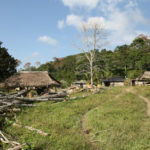 In the short time we were there, paramilitary groups issued death threats to the Peace Community and extorted butchers who live in the main village, just a half mile away from San Josecito- the biggest Peace Community settlement. 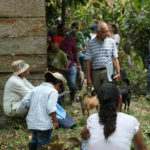 Paramilitary groups are also charging a fee for each head of cattle owned by the residents of San José, making cattle ranching prohibitively expensive. Of course, the Peace Community refuses to be extorted, putting them at even higher risk. Furthermore, the 17th brigade has placed a writ for the protection of constitutional rights against the Peace Community. The 17th brigade alleges the Peace Community has damaged their “right to a good name” for saying the army is working with paramilitaries. After this alarming step taken by the 17th Brigade, various entities and organizations came out in support of the Peace Community, highlighting their right to denounce paramilitary activity and human rights violations in their region. Nonetheless, if this judicial process is successful, the Peace Community could lose their legal status in the country. Despite these challenges, the Peace Community still celebrated Christmas, honoring how much they have accomplished. They are no strangers to these types of threats from armed actors and have over 20 years of experience resisting them. Grassroots movements such as the Peace Community are facing a difficult year, but they will not be intimidated. The following piece and pictures were originally published in Spanish by our Accompanier Dianna E Almanza. In which I am caught in a moment of profound tranquility, completely consumed by the grand beauty that surrounds me. I feel an immense force, an innate connection between the earth, and the guardians of the earth. This is the same delicacy I see shown in the looks, caresses and embraces between parents and their children. Here, I began to understand, with my own flesh and blood, the true meaning of living a life in peace, without hatred. 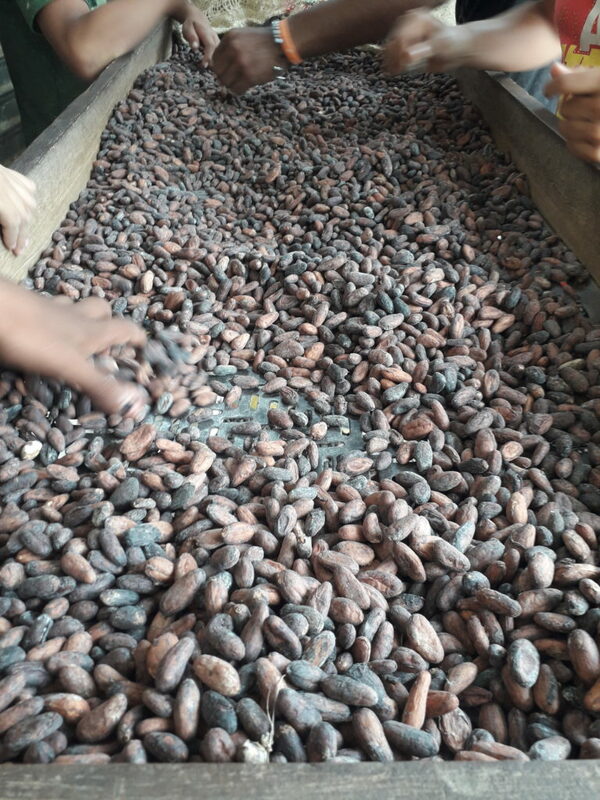 The Peace Community of San José de Apartadó, (Antioquia), Colombia, is a collective of small scale farmers, founded in 1997 in order to resist in the midst of the armed conflict. 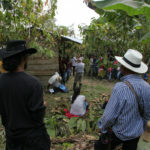 The small scale farmers declared themselves neutral (they do not interact with any armed group), they practice nonviolence, they don´t allow any arms in their territory and they have to participate in collective working groups. In order to receive more information, in their own words (in Spanish), visit their homepage www.cdpsanjose.org or follow this link for an introduction to the Peace Community of San José the Apartadó on our homepage in English. The following pictures represent a selection of the very beginning of a photographic memory, which, in my opinion is the most convincing representation of the incredible force, unity, beauty and above all, resilience of the community, from my perspective as International Observer and Accompanier. The whole collection can be found in the original publication. Para la versión en Español haz click acá. Since 2014, FORPP has accompanied Human Rights activist Enrique Chimonja Coy, member of the Intereclesial Commission of Justice and Peace. 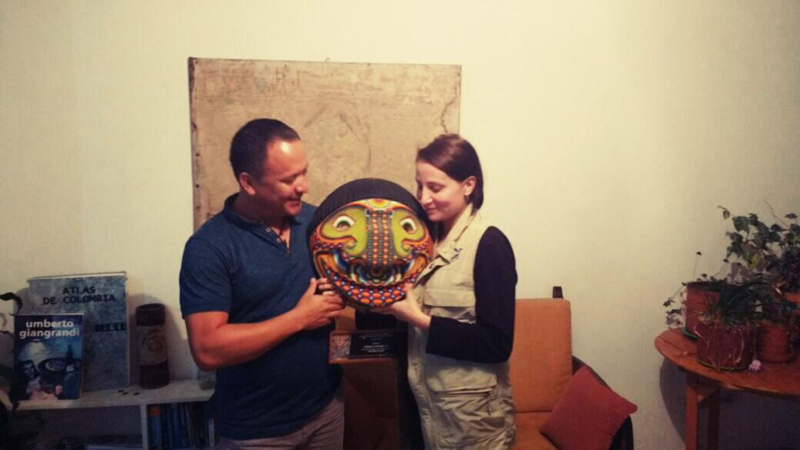 We accompany him to the city of Buenaventura and in the rivers of San Juan, Calima, and Naya, home to indigenous and afro-descendent communities who are survivors of the armed conflict. 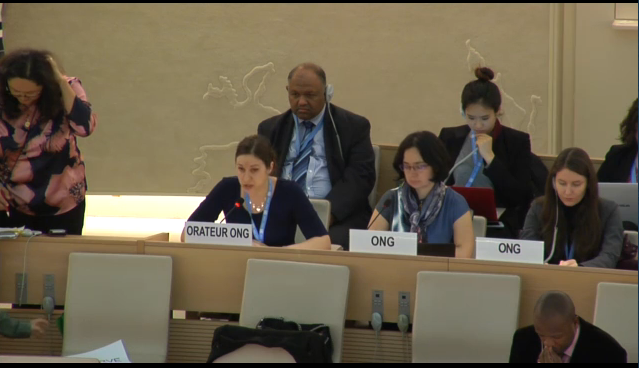 On March 22, during the general debate following the United Nations High Commissioner for Human Rights’ report on the situation of Human Rights in Colombia, Martina Lanza from IFOR delivered a statement that spoke to the experiences of its members in Colombia. A continuación, le presentamos el vídeo y el texto que leyó Martina Lanza de IFOR el 22 de marzo pasado en el Consejo de Derechos Humanos de Naciones Unidas, durante el debate general siguiendo el lanzamiento del Informe Anual del Alto Comisionado de las Naciones Unidas para los Derechos Humanos en Colombia.